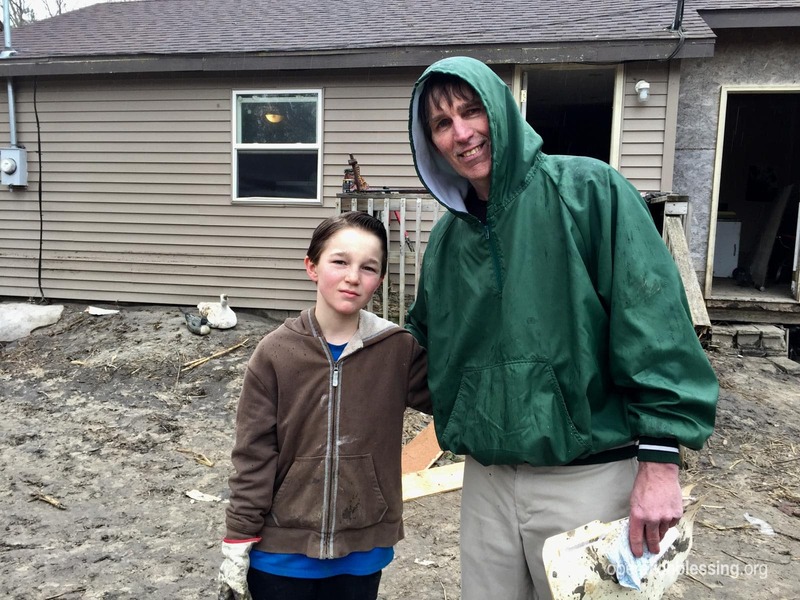 For flood victims like these, the task of cleaning up and rebuilding can be incredibly overwhelming. But, thanks to faithful Operation Blessing friends like you, Nebraskans like Jack and Linda did not have to face these challenging times alone. 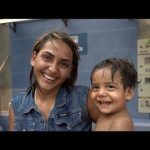 As soon as the waters began to recede, Operation Blessing’s U.S. Disaster Relief team arrived on the scene. They set up headquarters at Good Shepherd Church in Fremont, Neb., and the call for volunteers went out. 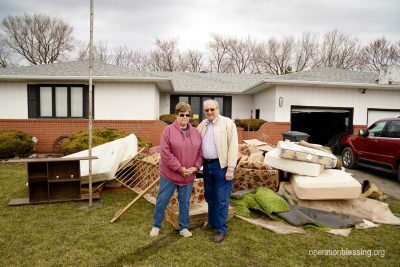 It wasn’t long before teams of blue-shirted Operation Blessing volunteers were arriving at homes like Jack’s and Linda’s. 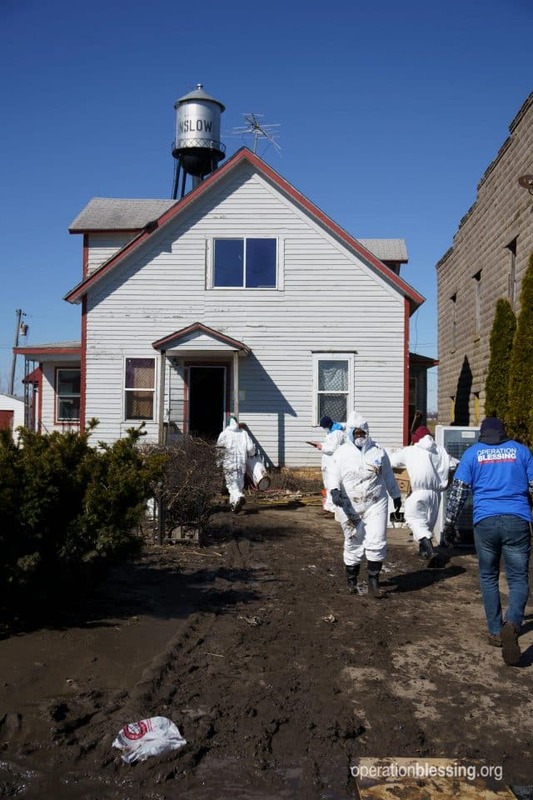 They tackled the laborious work of tearing up ruined floors, cutting out soaked drywall and insulation, and hauling off water-logged furniture and appliances. Volunteers also helped grieving families sort through and recover treasured memories and possessions. 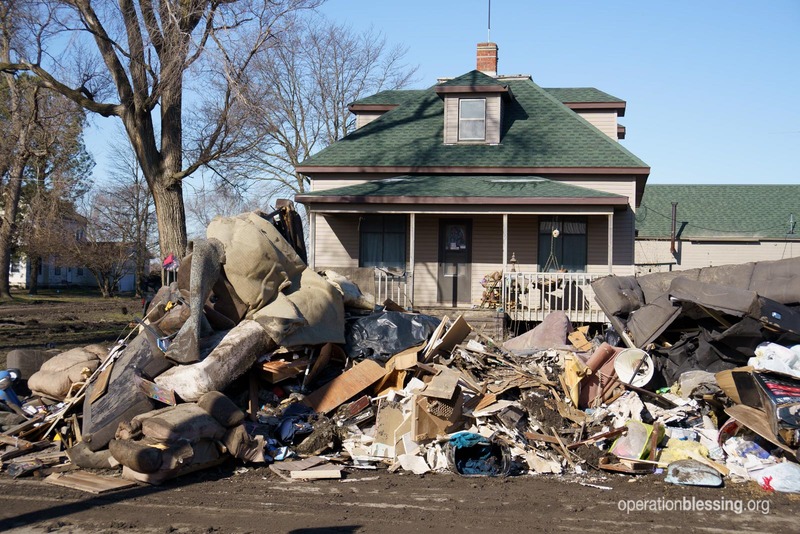 Thanks to your generous support, and the selflessness of all the Operation Blessing volunteers, flood victims in some of the hardest hit areas of Nebraska have received help, relief and hope during a very hard and painful time. 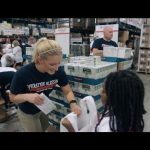 Thank you for your kindness and compassion that is touching lives in Nebraska and around the world!